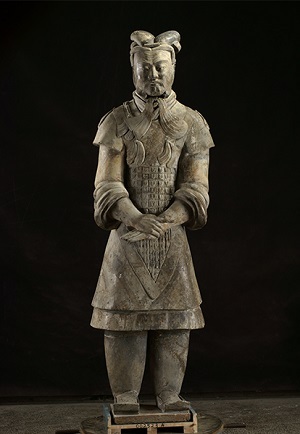 iconoCero: Terracotta Army: Legacy of the First Emperor of China at Cincinnati Art Museum. 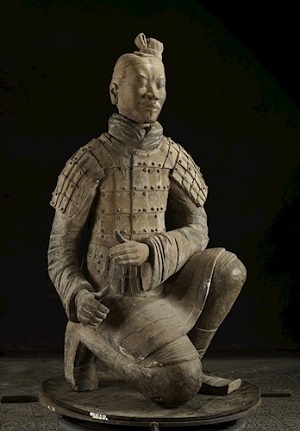 Terracotta Army: Legacy of the First Emperor of China at Cincinnati Art Museum. Chariot and horses - replica - Terracota Army. If you are at Cincinnati this weekend and you have always been attracted to Chinese cultural heritage events, this exposition is something you have not to avoid by any reason. 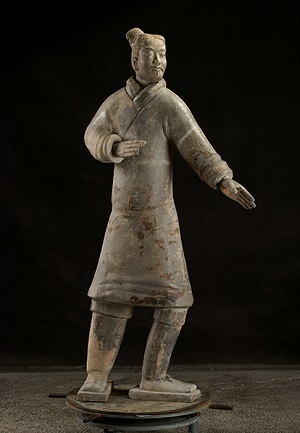 The focus of the exhibition is to present in America the historical traces of the Qin dynasty, dynasty from which arise the first emperor of China Ying Zheng in 221 B.C. The Cincinnati Art Museum shows 120 objects that encompass 500 years of nomadic life and the beginning of the ancient empire. 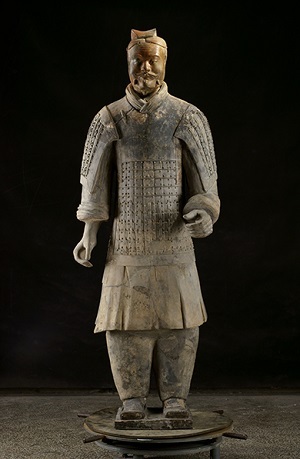 The main interest of public must be the impressive warriors of Terracotta army, statues discovered by farmers of the city of Xi’an in Shaanxi province in 1974. The amazing finding came to light 8,000 real size horses and soldiers and could be considered one of the most important archaeological facts in modern times. 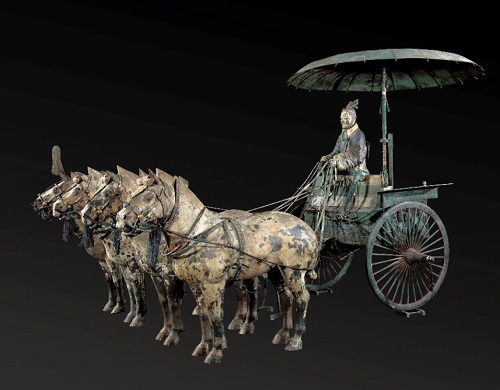 The visitors could admire the replica of one the chariots that was made to model the first emperor imperial convoy; the horses are adorned with gold, silver and bronze bridle ornaments and is one of the most special objects from the Qin Shihuang’s Mausoleum Site Museum. Curated objects on exposition try to aboard additional themes like cultural diversity in ancient China and the pursuit of immortality. 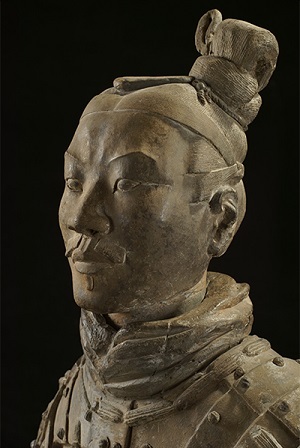 Terracotta Army: Legacy of the First Emperor of China on view until august 12, 2018.